Last week I showed you one of Maarten Baas’s remarkable clocks. Here is another one of his very clever clocks. 1.1. Which number is created from the preceding number by adding just one segment? 1.2. Which number is created from the preceding number by removing just one segment? 1.3. Creating the digit 2 from the digit 1 requires one segment to be removed and 4 segments to be added, so 5 segments change in total. Creating another digit from the previous digit also requires a total of 5 segment changes. Which digit is this? In other words, which digit (apart from 2) is created using 5 segment changes from the previous digit? Creating 7 from 6 requires 4 segment to be removed and 1 segments to be added. So in total 5 segments change. 1.4. 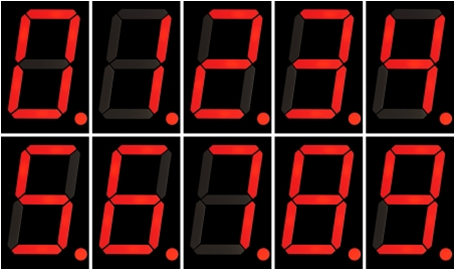 Baas’s digital clock writes the time in 24-hour format. 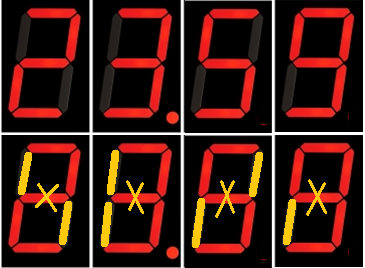 How many segments need to be changed when the clock changes from 23:59 to 00:00? The diagram below shows that we need to adjust 3 segments in the first three digits, and then 2 segments in the final digit. 2.1. In the game described in the video below, who wins the game? The player who goes first (Player 1), or the player who goes second (Player 2)? Assume that both players make their moves the best possible way. Player 1 can be guaranteed to win by putting the first pawn in the centre of the board. Player 2 can put a pawn anywhere, and the first player can then place a pawn in the diametrically opposite position. The second player can place another pawn, and the first player can then place a pawn in the diametrically opposite position. This can carry on until the board is almost filled. Then, if the second player can place a pawn, then the first player can definitely place a pawn in the diametrically opposite position. If the second player CANNOT place a pawn, then the first player wins. 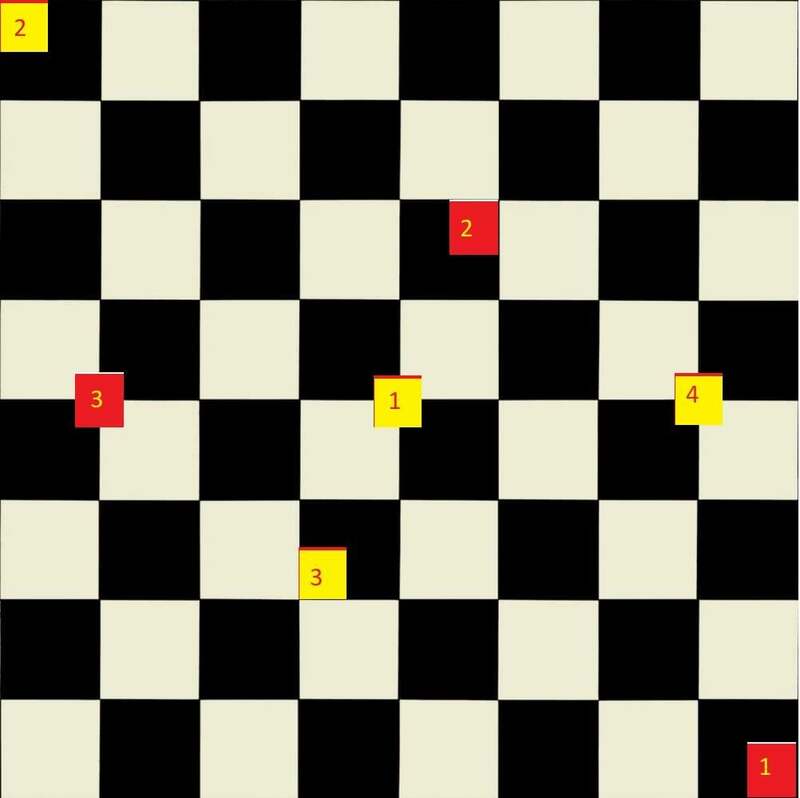 Below you can see how player 1 (yellow squares) could make her first 4 moves, and player 2 (red squares) could make his first 3 moves. After the first move, player 1 just places pawns opposite her opponent’s pawns. This video was from patrickJMT’s YouTube channel, which has tons of maths videos.